Even if you haven’t been to Ireland before, the chances are that you have already heard about Saint Patrick’s Day. It’s also called St. Paddy’s Day (but not St. Patty’s Day, please!) and it’s a celebration of the Irish spirit. 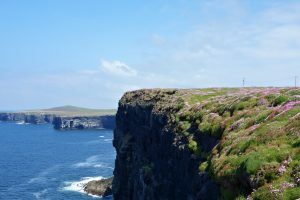 Heading to Ireland in the middle of March is always a great idea – and experiencing the festive atmosphere on 17th March is definitely bucket-list material. We enjoyed the St. Patrick’s Day celebrations many times when we used to live in Ireland – find out what to expect and how to get ready with our tips. Saint Patrick is the foremost patron saint of Ireland and he is given the credit of bringing Christianity to the country. The 17th of March, which is the date of his death, is the day of celebrations of not only Saint Patrick and Christianity but also Irish culture and heritage in general. Every year many places and attractions turn green and there are parades and special events all over the world. The 17th March is a national holiday in the Republic of Ireland and Northern Ireland so most people don’t have to go to work and they can enjoy the celebrations instead. Most local people are off and thousands of visitors come to Ireland for this occasion from abroad so expect places to be busy – very busy.Accommodation, restaurants and pubs will be packed and noisy and it will be a challenge to escape the crowds. Most pubs, especially in the city centre of Dublin, will be so full that many people have to drink their pints outside. 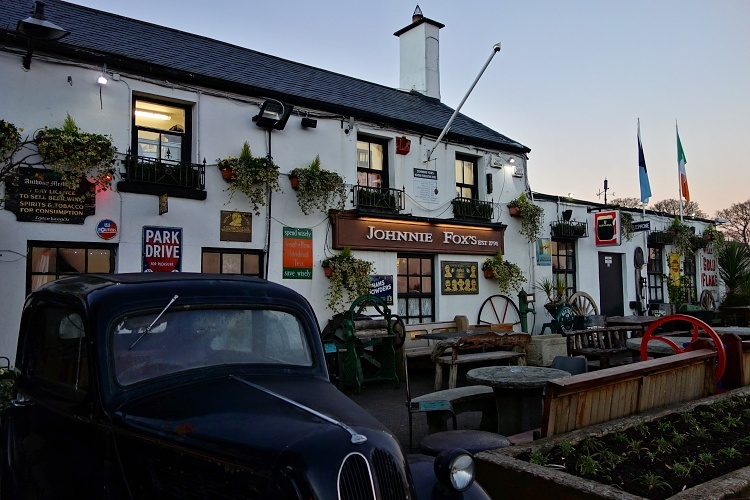 If you don’t like busy events, head to some of the smaller Irish towns instead – you can get an authentic, and less commercial, experience there by celebrating with the locals and not just tourists. 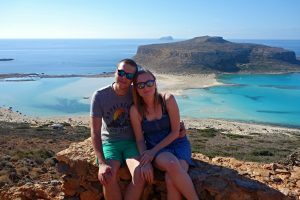 Irish people are very friendly and easy to get into the conversation with so you won’t feel alone even if you travel on your own. 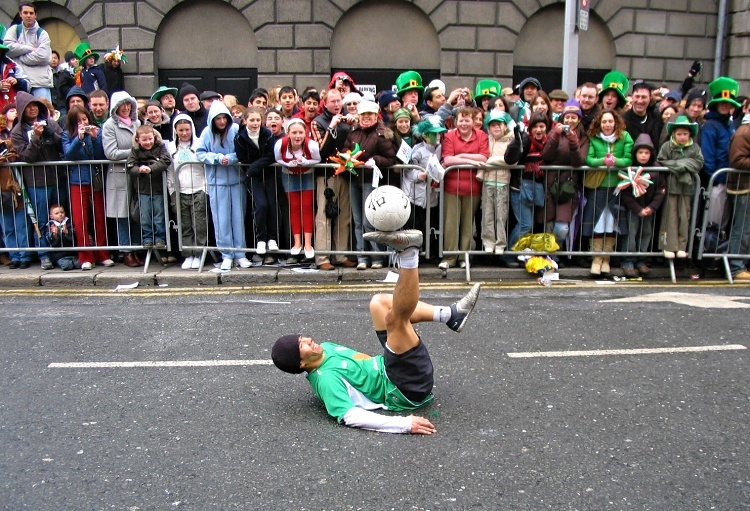 There is so much going on in Ireland around St. Patrick’s Day. The St. Patrick’s Festival in Dublin usually starts a day before and ends a day or two after the 17th March, check out the official website. 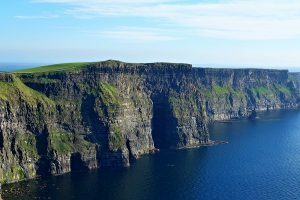 We recommend arriving a few days before St. Patrick’s Day and spending at least a few days in Ireland. 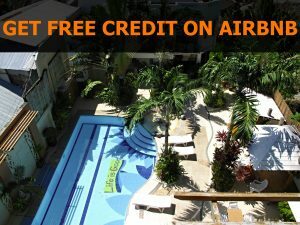 You will not only save money on airfares, which usually go up just before and after St. Patrick’s Day, but you will also be able to enjoy many special events related to the celebrations. 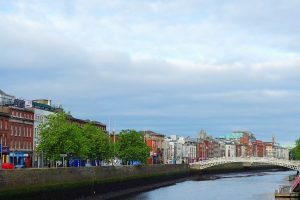 There are many things happening all around Ireland – such as parades, street performances, concerts, dancing, theatre, historic tours, activities for families, etc. 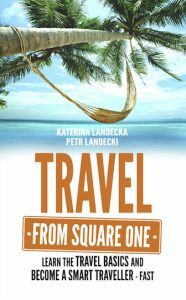 – and there is something interesting for everyone. 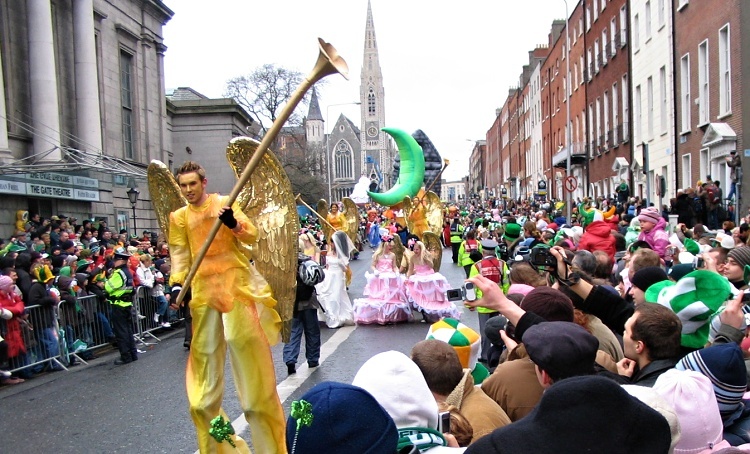 If you are in Dublin, the renowned St. Patrick’s Festival Parade is a must-see. Colourful costumes, performers and bands from all over the world create an amazing spectacle. Thousands of visitors will arrive for the show so get in early to secure a good viewing spot (or a window). The procession walks through the city centre and you can check the parade route here. Make sure that you are wearing something green – it doesn’t have to be clothing but can just be an accessory.People used to believe that green made them invisible to leprechauns, local fairy creatures, who would pinch anyone they would see. Wearing the costume or at least the hat of a leprechaun will help you to get attention and make new friends quickly. People also like to wear clothes or accessories with other Irish symbols such as the shamrock. It’s believed that Saint Patrick used the shamrock to explain the Holy Trinity to those he preached to. The colours of the Irish national flag – green, white and orange – are also popular. It’s the creativity that is appreciated the most so it’s the time to let your imagination go wild. While St. Patrick’s Day is the celebration of all things Irish, it’s a perfect opportunity (or excuse?) 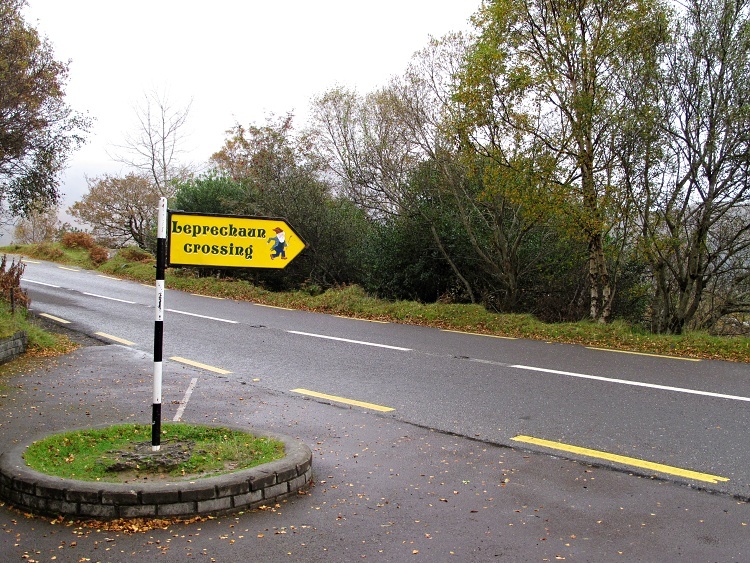 to try some traditional Irish food and drinks. Let’s start with Irish drinks that make a great conversation topic (not only) on St. Patrick’s Day. You have to taste Guinness – the iconic Irish dry stout. Don’t panic if you don’t like it – there are plenty of alternatives. 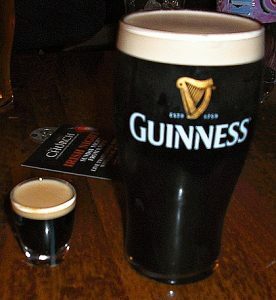 You can try a Baby Guinness – a shooter looking like a miniature pint of Guinness. It’s great for those with a sweet tooth and is made of a coffee liqueur (Kahlua, Tia Maria, etc.) topped with an Irish cream (usually Baileys). Whiskey, cider, Baileys, poitin or Irish coffee are other popular choices. Traditional Irish food might not be as sophisticated as other cuisines but it includes many tasty meals. Don’t miss some of the fresh lamb, fish or seafood meals, while hearty stews and soups will warm you up on a cold day. Traditional Irish breakfast (also called the fry) is always a good idea – not only in the morning but during any other time of the day. 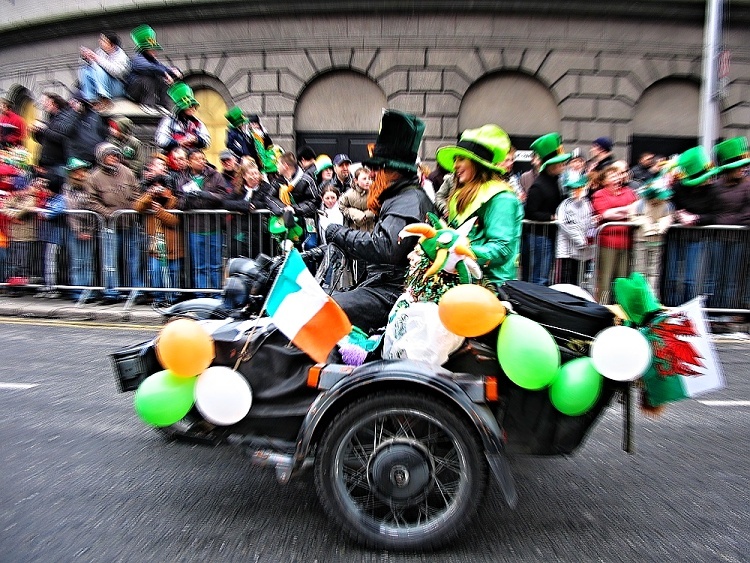 Saint Patrick’s Day is a great experience and Ireland is the place to be on 17th March. Be prepared for any type of weather, even if the sky is blue in the morning – it’s Ireland after all and the weather might change a few times during the day. 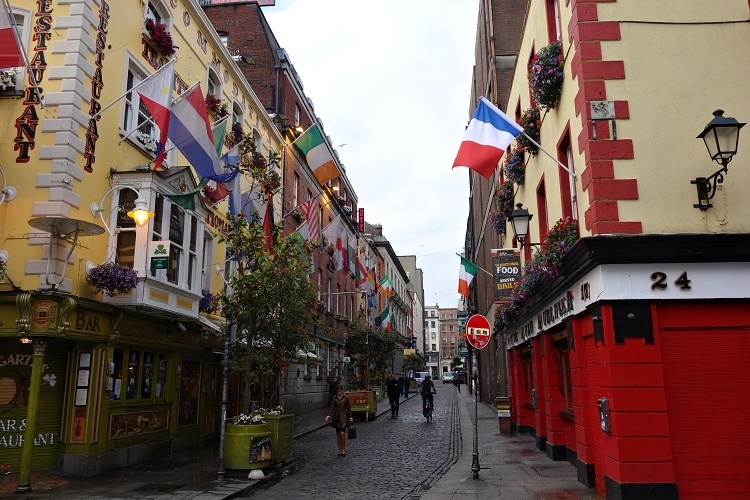 But don’t worry if you aren’t lucky with the weather – you can easily find shelter in any of the welcoming Irish pubs. Even if you can’t travel to Ireland, you can still celebrate St. Patrick’s Day by attending some events in your country (if there are any) or even at home. Go green, download Irish music, get some Irish drinks and food, invite a few friends and enjoy the festive atmosphere. You might even attempt Irish dancing if you are in the right mood. The 17th March is the time to have craic (fun) and enjoy life.